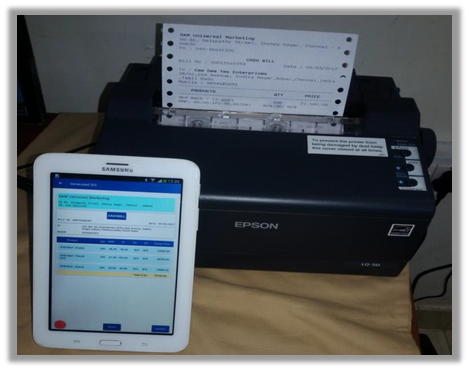 Print the Bills/ Receipts from our mobile application via modern Bluetooth wireless communication technology on the go. Wireless connectivity helps to cut the cord between the printer and the Mobile used for capturing delivery details and prepare invoice automatically. The transmitted distance can be anywhere between a few meters to a hundred meters. This is a unique and most useful new feature in our latest version and offers several advantages. Wireless connectivity – no printer cables. Operates from 12V DC battery in the vehicles. Once planner assigns the route to the delivery man, delivery man logins into the android application. He views the list of shops to be visited. Inventories available in the shop and deliveries made by the delivery man are captured in our android application. Once all the deliveries are captured, mobile application prepares the invoices automatically. 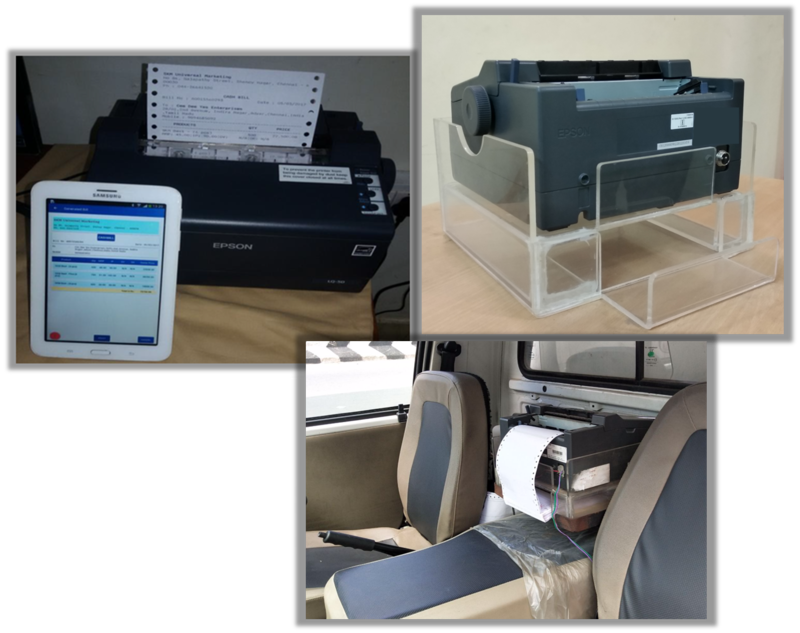 Our system has provision to print the invoices and receipts on the spot using dot-matrix printer with wireless communication. 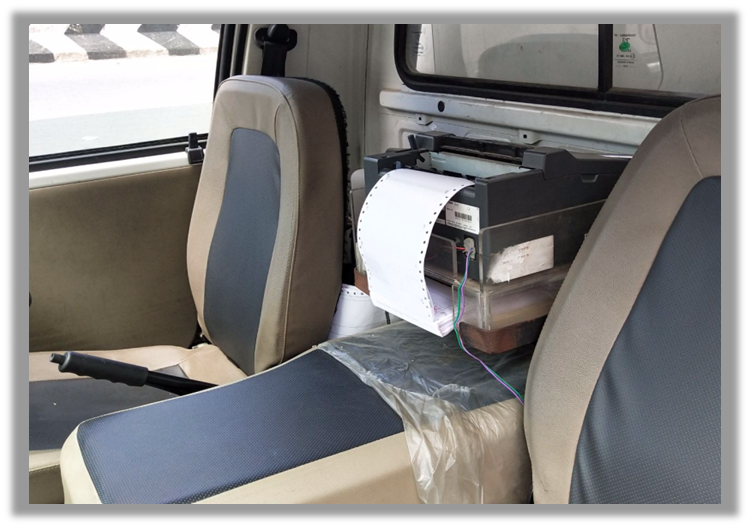 The printer is placed inside an Acrylic box, which can be fitted on the dashboard or seated on the passenger seat in the delivery vehicle. 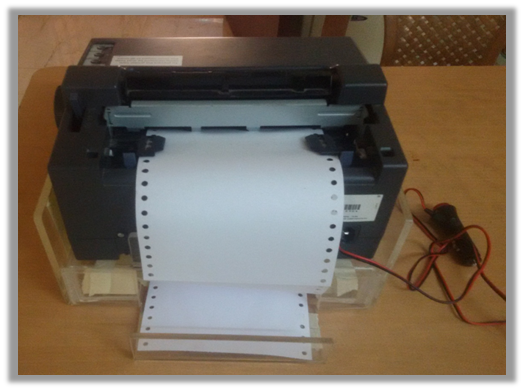 Printer is connected with vehicle’s 12V battery through lighter charger cable, which gives the sufficient power without need of any external power supply.